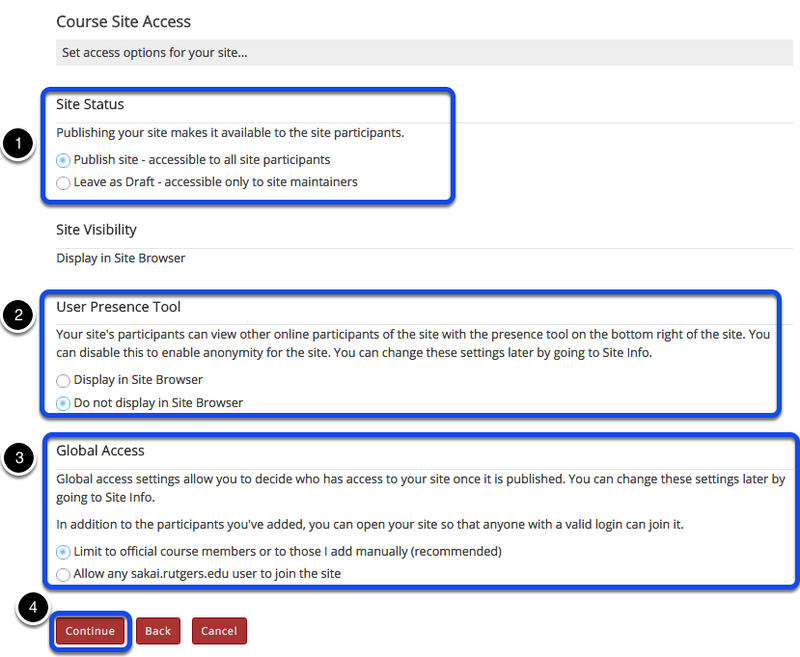 Instructor User Guide Course and Project SitesHow do I create a new course or project site? Add more rosters if you have more than one for this course. Click Continue with no roster if you want to add a roster later on. 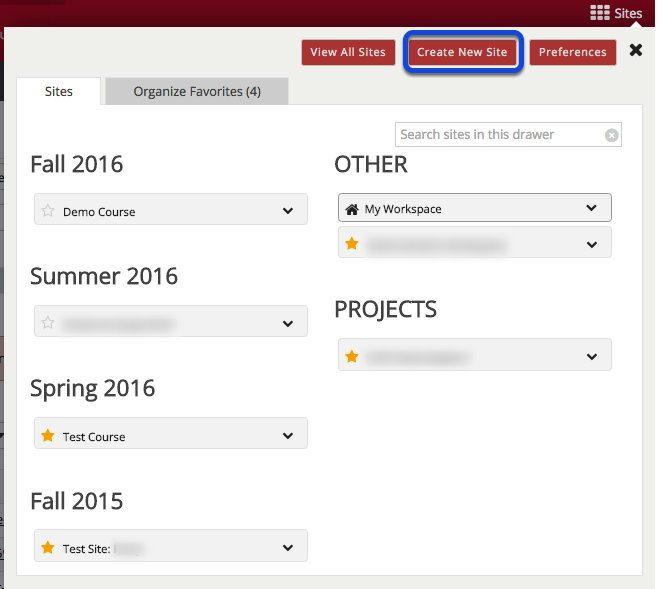 Place a check mark next to any tools that you would like to use in this course site. 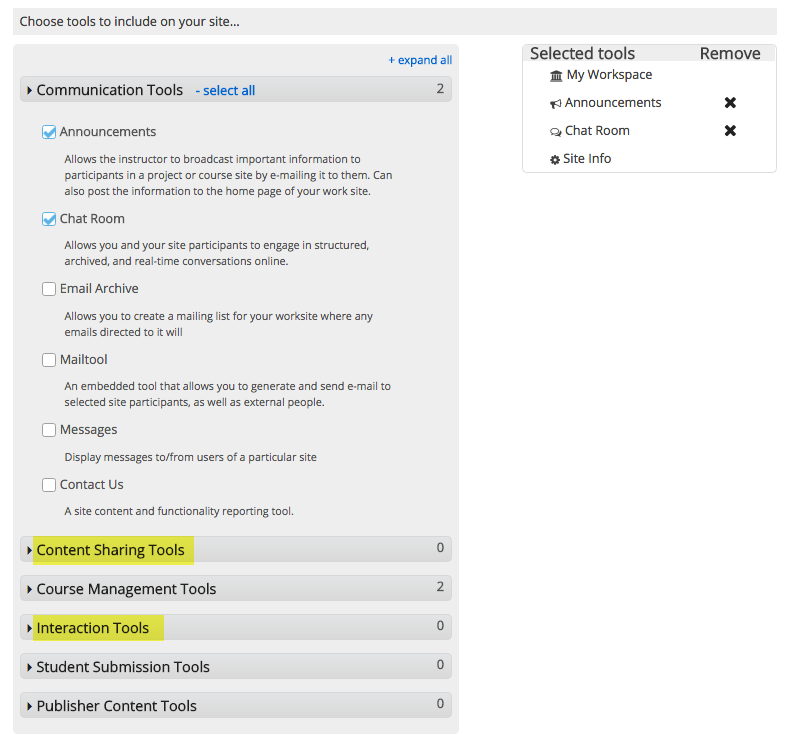 Select other tabs (Content Sharing Tools, Interactions Tools, etc) to view more tools. User Present Tool: Display in site browser or do not display to enable/disable anonymity for your site. 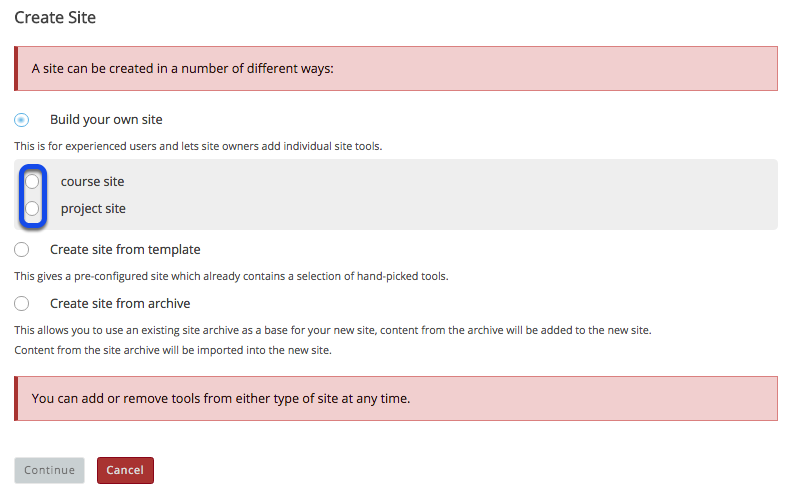 You will see a screen which displays all of the site settings for verification. If you requested a roster, you will see 'request site.' 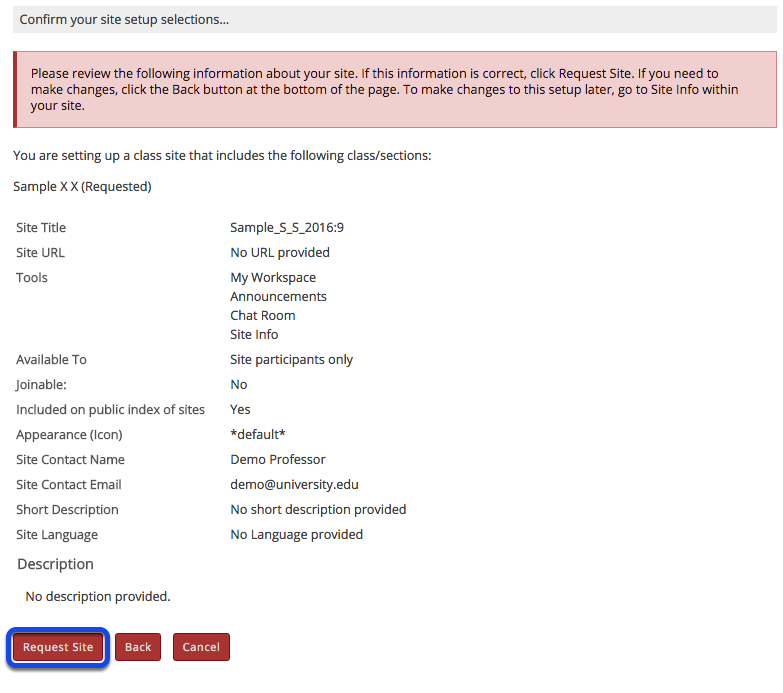 Click on Request Site to create the site. 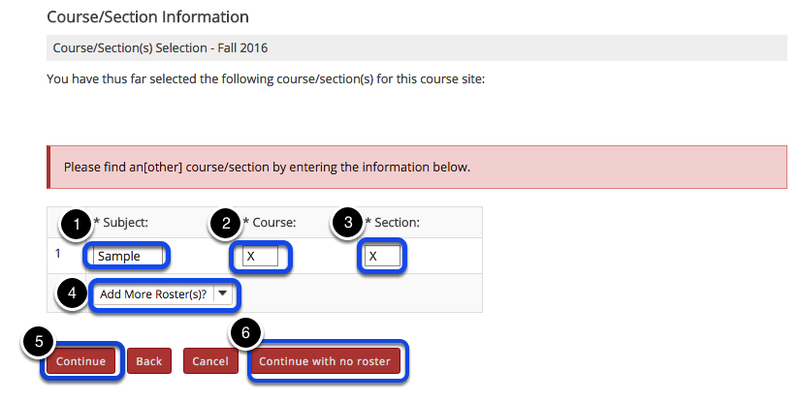 If you continued without a roster or did not have to request a roster, click Create Site.